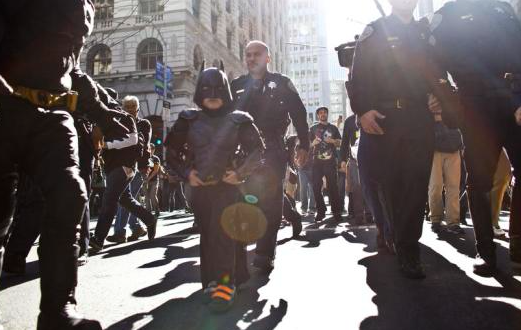 Last night I shared with my wife something I found online: batkid. Definitely the feel good YouTube video of the month. Watching that reinvigorated us to keep going in this new business idea we had. My wife really wants to dress up as a princess and go to hospitals as a volunteer but I told her we need to establish credibility first. I am working part time on a sister site to get the credibility. We picked a name and registered the domain with WordPress. I like how easy it is to use the tools, and we even bought a premium theme. I am working on the site in private mode until it is all done. Unlike similar businesses, I am trying to develop some sort of theme that goes beyond party planning. I was really inspired by Jim Collin’s last chapter in Good to Great. I think I am going to incorporate “average to awesome” somewhere in our business plan/idea. I live a good life with my wife and our puppy. It is time to aim higher. This new venture is our chance to do something really awesome! – Barbara Corcoran, Shark on ABC’s hit TV show,Shark Tank.